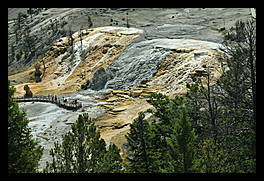 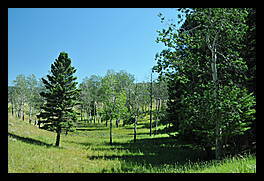 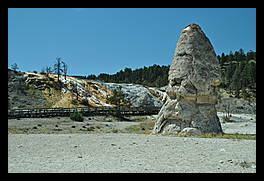 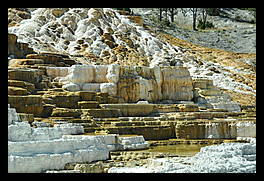 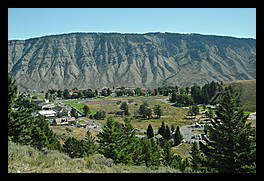 Toward the northwest entrance to Yellowstone, near Fort Yellowstone is the Mammoth Hot Springs complex. 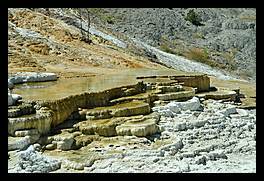 It is a large hill of travertine that has built up over thousands of years from calcium carbonate that preciptates out of the cooling water and builds a rock called travertine. 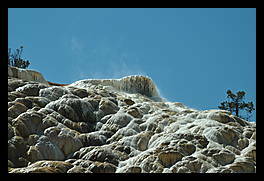 At the top, the water is steaming hot, it cools as it comes down the terrace.